As most of you know, after tax season and a few days of well-deserved R&R I traveled to DC for IRS meetings. I then left for San Antonia and Georgia to teach at two affiliates of the National Association of Enrolled Agents (NAEA)and then it was off to LA for business meetings. I’m traveling to Louisiana, Atlanta, San Antonio (again), Orlando, Washington State, and Mississippi and that gets me through July 6th. Ali and I have a cruise booked in July; then it’s “back on the road again” to DC, LA, Orlando, and Austin. I think that’s it for the next three months. I love teaching, and I can’t turn it down when offered to me. Which brings to my point: If you are a member of a local, state or national organization that contracts with outside speakers I am available for the gig. I present on all things tax and time management and bring a level of entertainment as well as cold, hard facts to the program. I tailor the presentations to the specific industry (real estate, legal, medical, mortgage, veterinary, etc.) 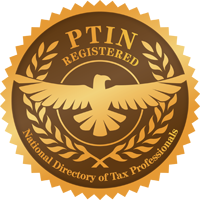 and I am also available to speak in local offices, and I regularly travel the tri-county area as well as the state of Florida teaching other tax professionals. If you are interested in having me speak or have a contact within an association, please give Ali or me a call at 772-337-1040 to chat. So wherever you are in the country, I hope you stay dry (it’s been pouring here in Florida for the past week or two or three) and have a wonderful Memorial Day weekend.